If this industry has taught me one thing, it’s that there’s nothing simple about assembling a "simple" two-channel audio system. 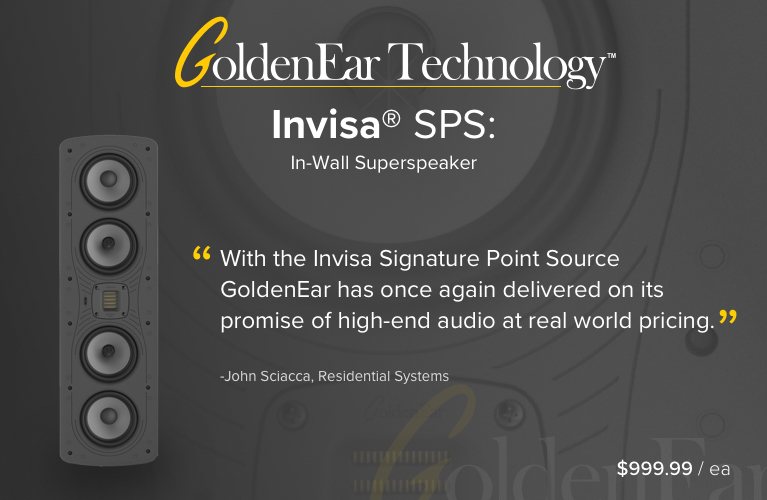 From source to speakers, there are so many things to consider and choices to be made that the word paradox has surely entered the minds of many who have sought audio nirvana. Forced to start somewhere, I prefer to organize things by focusing on what I consider to be the foundation of a decent two-channel rig: the power amplifier. 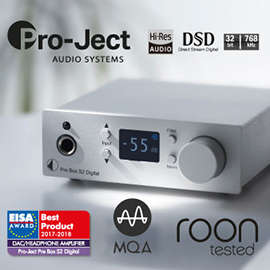 The selection of an amplifier is dependent on many things: personal sonic preference, power required, cost, and physical space available; solid-state, tubed, or switching, each of which has its own sound characteristics; and integrated amplifier, two-channel power amp, or monoblocks. The possible combinations are nearly infinite. But if you want tube smoothness, solid-state punch, and high efficiency, well . . . consider Bel Canto’s e.One REF150S. When I removed the e.One REF150S ($1595 USD) from its packaging, I scratched my head in wonder, trying to figure out where to place it. On one hand, the REF150S is quite attractive: Its classy, silver-on-black faceplate of 0.25"-thick brushed aluminum makes somewhat of an industrial design statement. On the other hand, it measures only 8.5"W x 3.5"H x 12"D, weighs a scant 13 pounds, and needs almost no breathing room -- it can be placed pretty much anywhere you have the space to stash a boxed set of The Sopranos. I ended up placing my review sample behind closed doors in my audio cabinet for the duration of its three-week break-in period, something I can’t do with most other amplifiers, and especially my reference Rotel RMB-1095. Once the REF150S began to break in, it was almost no time at all before the cat was out of the bag and my fiancée was asking me what I’d changed in the system, and how much I’d spent. Explaining to her that I’d simply received a new component for review, I removed the REF150S from its hiding place and positioned it atop my audio cabinet. Rewiring everything on the Bel Canto’s rear panel, I had the option of using XLR or RCA connections, and informed the amplifier of my choice by depressing a pushbutton toggle switch located between the two terminals. To the far left of the input and output terminals is another toggle switch, for power, and an IEC inlet for the removable AC cord. To my disappointment, however, the only speaker-cable connection was via banana terminals. I thought this odd, so in January, at the 2011 Consumer Electronics Show, I asked the designer of the REF150S, John Stronczer, if he’d had a specific reason for this. He informed me that I wasn’t the first person to pose the question, that the terminals on my review sample had been discontinued, and that the REF150S now ships with upgraded WBT Nextgen five-way binding posts. Stronczer then put me in touch with Jonathan Scull, of Bel Canto’s PR company, who promptly sent me a new e.One REF150S. I installed that second unit in my system, where its new connectors provided very solid connection with both spade- and banana-terminated cables. Spacing between the terminals was obviously considered during the redesign: there is now ample room for connecting some very thick cables. If you have an earlier version of the REF150S and would like to have it upgraded with the new terminals, Bel Canto will do so for $350. I now had two e.One REF150S amplifiers on hand. While the new one was breaking in, I popped the cover off the first one to get an idea of what was under the hood. It was immediately clear that the beauty of this amplifier is not merely skin deep. The REF150S is physically separated into three independent sections: power supply, input stage, and output stage. Interestingly, the output stage is the only component of the REF150S that wasn’t fully designed in-house by Bel Canto. 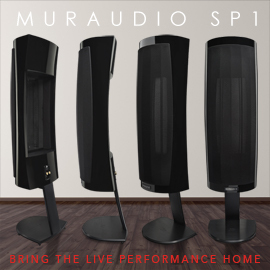 Instead, BC uses Bang & Olufsen’s ICEpower 125ASX2 module, and optimizes its performance by pairing it with a custom-designed balanced input stage and a low-distortion power supply. Taking up the entire right side of the chassis, the power supply is mounted on its own dedicated PCB. It filters power through two large 200V capacitors, each capable of up to 2200µF of capacitance, for extra storage within the filter stage. This filter stage also incorporates a low-noise power rectifier designed to reduce high-frequency noise produced by the rectification process itself. The result is smooth direct current supplied to the switching regulators in the output stage. Like the power supply and the output stage, Bel Canto’s custom-designed, high-CMRR (common-mode rejection ratio), balanced input stage is also mounted on its own PCB. 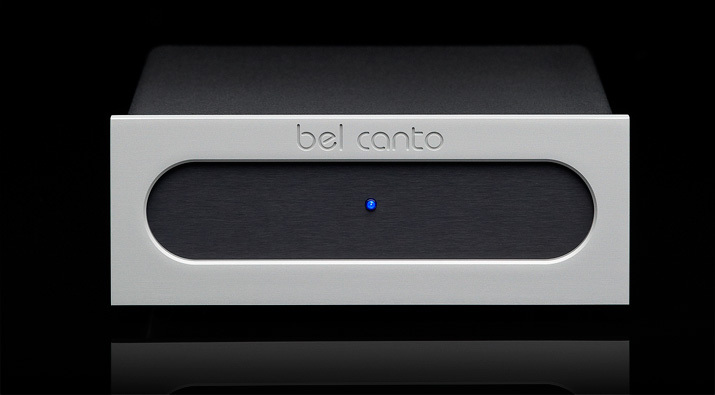 Bel Canto cut no corners here, using top-end components -- 0.1% precision, audio-grade metal-film resistors; solid, electrolytic, ultralow-ESR decoupling capacitors; and low-noise, regulated power supplies -- in an effort to supply the output stage with the purest, quietest power possible. Put all this together and you have a amplifier capable of delivering 75Wpc into 8 ohms or 150Wpc into 4 ohms, with a low THD+noise spec of only 0.003%. Smooth as . 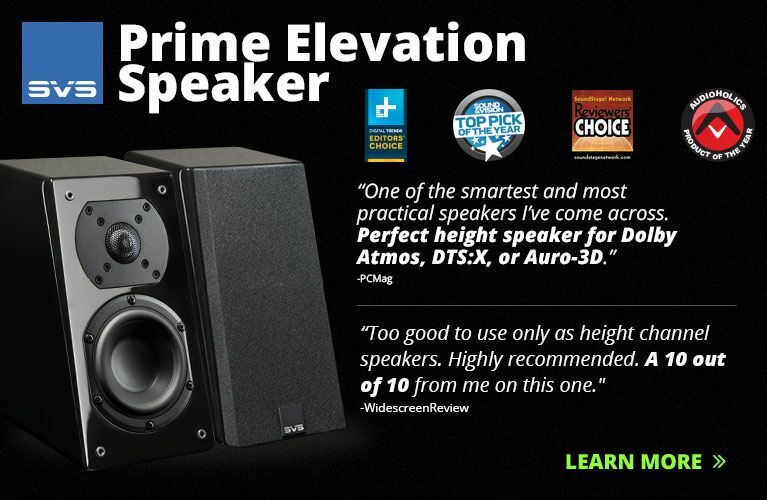 . .
Once I’d run in the new e.One REF150S, I was finally ready to sit down and start listening analytically. I say finally because, after only a week of break-in, this baby Bel Canto was already taunting me with its sweet musicality. Normally I begin my listening sessions with lighter fare, but this time I found myself selecting brighter, livelier recordings to see if the Bel Canto’s charming characteristics would remain. I kicked things off with a rock recording from the early 1990s: "Silent Lucidity," from Queensryche’s Sign of the Times (CD, EMI 02482 2). Chris Dagarmo opens the song by plucking his acoustic guitar. The song slowly builds, in a somewhat Pink Floyd-like manner, with the addition of purposefully oversized vocals that fill the room and lead the listener to anticipate the impending dynamic chorus. Unfortunately, as soon as that chorus begins, the sound takes on a rather steely edge that only worsens as the volume increases. This is a shame, because "Silent Lucidity" is one of those songs that just begs to be played loudly. Having the REF150S in my system helped to scale back the track’s aggressiveness at higher volumes without entirely removing it. Instead, the Bel Canto presented the song’s dynamics and nuances with utter transparency. Cymbals were airy and well delineated, drums sounded more natural with an added sense of decay, and the bass had real punch. "Keith Don’t Go," from Nils Lofgren`s Acoustic Live (CD, Vision Music VMCD 1005), is an excellent recording, but it, too, has sometimes sounded slightly on the cooler side of neutral with other amplifiers driving my KEF XQ40 speakers. Inserting the Bel Canto in the system produced a more inviting pairing. The slight overbite of strings that I’d previously noted was now replaced with fuller, more neutral-sounding textures. Lofgren was positioned dead center, while his acoustic guitar seemed to stretch across two-thirds of my room’s width. In the second solo rip, as Lofgren zealously strums, the excellent transient speed offered by the REF150S let me hear the twang of the strings themselves being struck as well as the notes being played, but with none of the tinniness I’ve sometimes heard before. 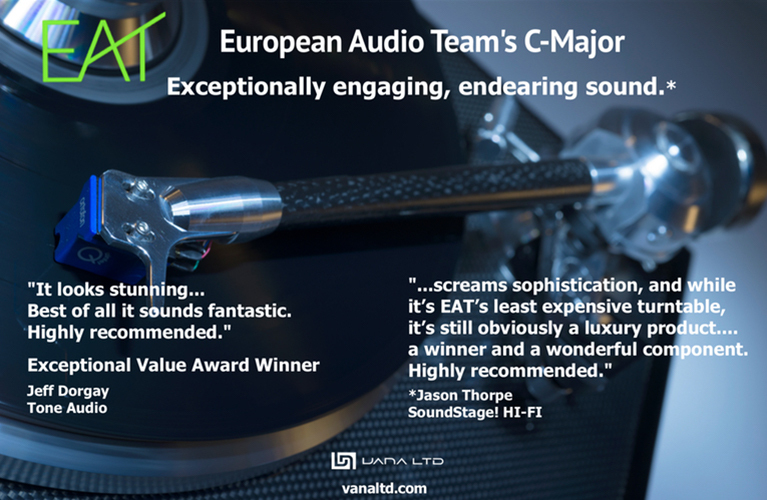 The overall sound was now simply dynamic, well imaged, and stretched across a wide soundstage with no aggressive tendencies. The background against which Lofgren sang and played his guitar was also very quiet, evoking a real sense of "being there" that I seldom experience with my system. That same realism was showcased in spades when I listened to Valerie Joyce’s cover of Jimi Hendrix’s "Little Wing," on Nicholas Prout’s The Ultimate Demonstration Disc (CD, Chesky SACD343). Quite possibly my favorite track during my listening sessions with the e.One REF150S, this performance offered the Bel Canto the opportunity to exhibit just how refined an amplifier it is. Beginning with this track’s Chesky-advertised attribute of midrange purity, the REF150S painted a genuinely holographic image of Joyce’s voice placed dead center, surrounded only by a piano and an acoustic bass. Her vocal nuances -- dynamic fluctuations, tonal changes, the sense of whisper underlying her voice -- were wonderfully articulated. The piano, slightly to the left of and behind the singer, was fluid and full, with notes that seemed to float around the room as they lingered in the air. To Joyce’s right, the double bass was detailed, warm, and natural, but lacked presence in the deepest octaves that I’ve heard with more powerful amplifiers. And again, the inky-black background produced by the REF150S’s low noise floor helped to create a spacious atmosphere with seemingly limitless depth. So far, the e.One REF150S had proved to be an exceedingly articulate, transparent, and highly refined amplifier that preferred, if only slightly, the warmer side of neutrality. Although I was surprised to hear such sonic virtues from an analog-switching amplifier, I wasn’t surprised that Bel Canto was the company to offer them, considering their history with tube technology and their reputation for making well-built, affordable products. 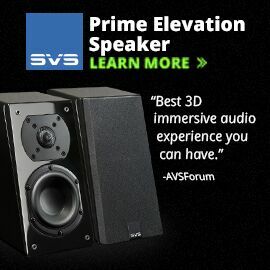 But what about all those other high-value products that aren’t switching designs -- or tubed, for that matter? How would the REF150S stack up against them? Consuming a mere 9.5W of power when in use, the e.One REF150S was somewhat of a luxury to use compared to my not-so-green Rotel RMB-1095 ($1999). Not only did I have no reservations about leaving the Bel Canto powered up around the clock, but the REF150S is so efficient that a case could be made to purchase one based on electricity savings alone. I concede that comparing Bel Canto’s 75Wpc amplifier to the 95-pound, 200Wpc, solid-state Rotel isn’t exactly comparing apples with apples -- it’s barely apples to oranges. But from my initial listening impressions of the REF150S as it broke in, my reference Rotel was the closest thing I had on hand that was comparable in sound quality. In fact, the differences between the two were nowhere near as in-your-face obvious as I expected them to be, though there were differences. For example, in the title track of Shelby Lynne’s Just a Little Lovin’ (CD, Universal Music Canada 3108650770), there was more air and depth around percussion instruments through the REF150S. Cymbals were rendered with more focus and detail, but also with a sense of delicacy and emotion that I had simply not heard through the Rotel. The decay of the wood-block strokes now had greater presence and an increased sense of openness. Surprisingly, the pitch was also different; the blocks now sounded as if they were being firmly knocked together rather than cracked. Even more inviting, and somewhat surprising, was how well the REF150S rendered voices. The Rotel presented Lynne’s voice with an articulate but slightly dark or veiled quality, almost as if the recording itself were at fault. The Bel Canto peeled away that slightly dark veil, to reveal nothing more than the full, rich tonal colors of the singer’s voice. This more organic sound injected a bit more life into the entire album, something that I’ve noticed is usually possible only with highly resolving systems. That same richness and resolution were carried down into the mid- and lower bass as well, something never more obvious then when I listened to "Wicked Game," from Chris Isaak’s Best of (CD, Warner Bros. CDW 49418). 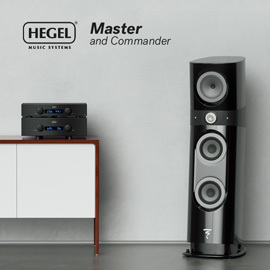 Where the Rotel RMB-1095 seemed to bully into submission the twin bass drivers of my KEF XQ40s, the Bel Canto serenaded them. The Rotel did an excellent job of producing well-articulated, powerful bass lines that I not only heard but felt, while the Bel Canto produced bass lines that were smooth, tuneful, and rhythmic, with just enough impact to never leave me wanting. This, combined with the deep, dynamic sound of Isaak’s voice, made this track particularly seductive. In fact, throughout this review the Bel Canto repeatedly rendered the subtle nuances of male and female singers in such a way that they sounded more real, more in the room. The Rotel has portrayed voices with the same level of realism, but not consistently, and never with anything less than the best recordings. For example, when I listened to the well-recorded title track of Katie Melua’s Call Off the Search (CD, Dramatico B000266612), the Rotel projected Melua’s voice far into the room, placing her dead center yet above the speaker plane, and slightly larger than she should be. With the REF150S in the system, Melua’s voice was positioned in the same space but was more focused and slightly smaller in scale, yielding a more holographic image similar to what I heard while listening to Valerie Joyce’s performance of "Little Wing." This consistent change in vocal character is possibly the biggest difference I noted between the two amplifiers. That Bel Canto has managed to strike such a fine balance between neutrality and musicality without sacrificing realism and detail is to be commended. During my time with Bel Canto’s entry-level REF-series stereo amplifier, I quickly grew to appreciate its sound. The almost tube-like refinement with which the e.One REF150S passes along whatever signal it’s amplifying has proven very seductive. To say this of a conventional solid-state amplifier is one thing; to say it of a switching amp is something else altogether. The Bel Canto e.One REF150S is the most musical amplifier I have heard south of $5000, with the exceptions of its bigger brothers, the REF500S and REF500M. If you’re in the market for a wonderfully musical two-channel amplifier that offers tremendous value and performance, rock-solid build quality, and uses a minimal amount of power, you owe it to yourself to audition Bel Canto’s e.One REF150S.